It is convenient to listen to music on your mobile devices. 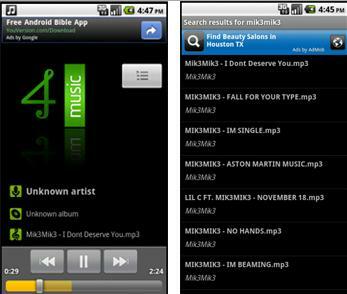 You can find many free apps that offer streaming music in MP3 for your mobile phone like iPhone, iPod, iPad and Android. While finding apps to allow you to download your songs, can be a little hard. Recently Apple has removed most of the popular apps that allowed downloading music from the store or forced them to change. 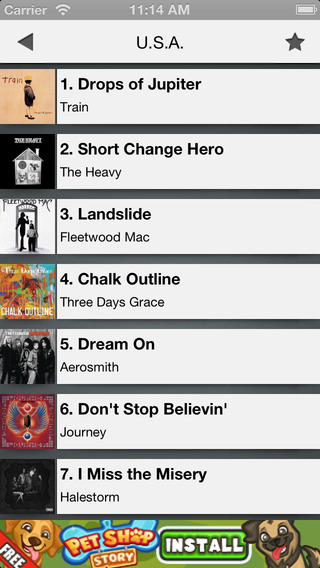 In this article we will have a look at the top 20 free MP3 music downloader app for Android, iPhone, iPod, and iPad. 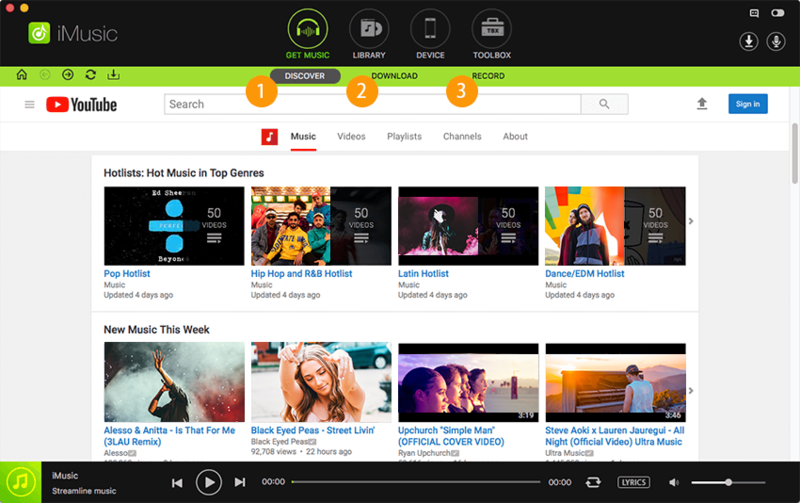 Built-in music library to download hot tracks and music playlist from over 3000 music sites. Directly download music video or MP3 music by URL, or download MP3 music playlist in 1 click. Record music or any audio played on your Windows PC or Mac with a well balanced recorder. Transfer music between iPhone, iPad, iPod and Android, from PC to mobile devices or vice versa. Rebuild, repair or backup iTunes Library even in a PC Windows computer. Powerful music toolbox which helps to transfer music to usb, burn cd, etc. This free MP3 music download app for Android allows you to search for songs and then download them. Previews of any song that you are looking for are available. It includes a music player that you can use instead of the default one. 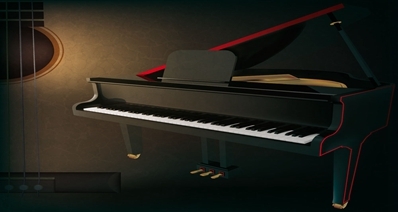 The player includes editing features such as cut and splice. This way you would be able to cut out parts of a song you don't like or create your own ringtone. 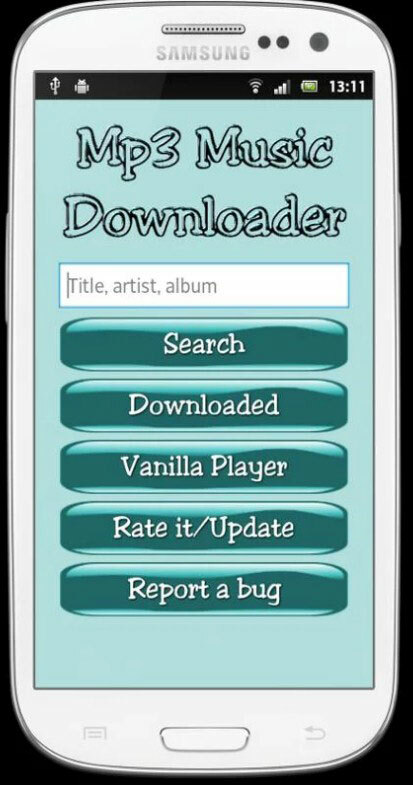 With this free MP3 app for Android you can play or download from a database that includes millions of songs per genre. It makes free MP3 music downloads for Android easily and allows you to create playlist and custom radio stations. These radio stations have no skip limits like other players. This app suggests songs depending on your history. 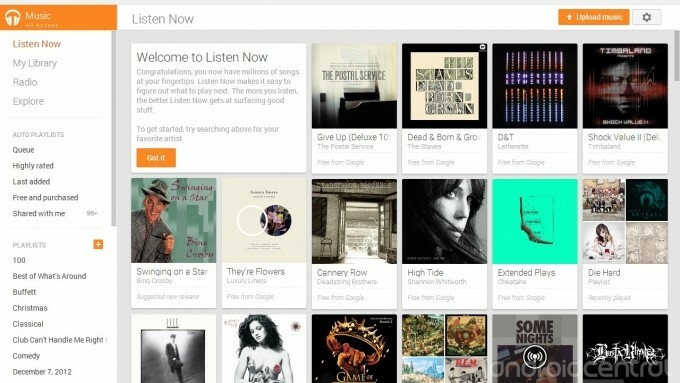 It allows you to buy music directly from the Google Play store. 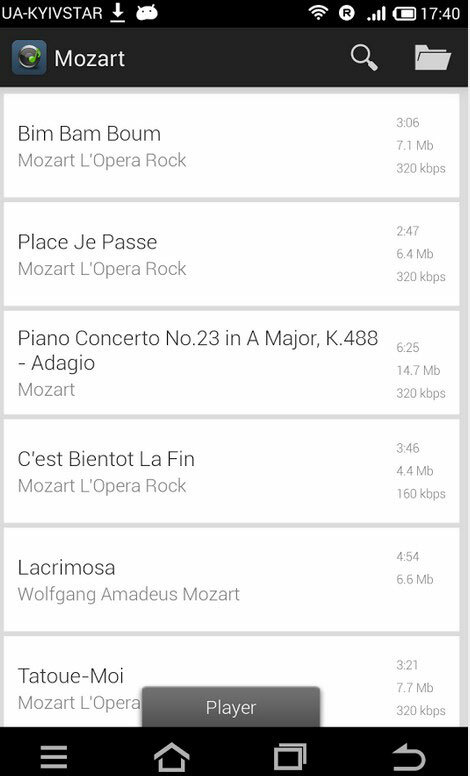 This Android app for MP3 music download is a radio app that allows MP3 music download for Android that are currently playing via the Amazon store. The radio includes some of the most popular online radio stations for varies genres. This app is a search engine and downloader at the same time. Everything you download will automatically be added to your device's media library. If you would rather stream songs, you can do that with this app too. This MP3 music download app for Android helps you find and process free MP3 music downloads for Android online. Searching and downloading is simple and easy. The interface is simply and easy to use. 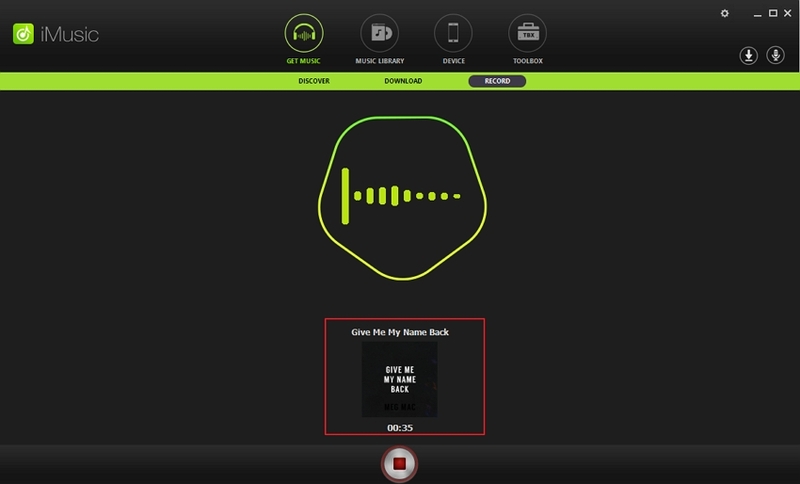 The app lets you use songs as notification sounds or ringtones. Includes a music player. While you can't download songs with this app, you can cache them for offline use, which is almost as good. 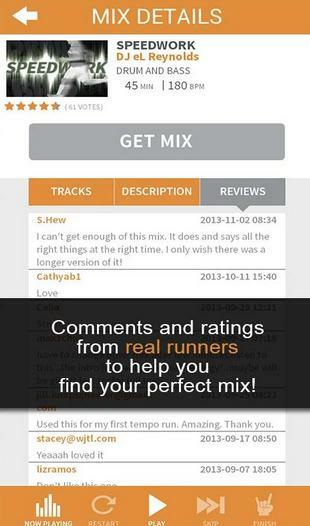 This app is directed towards people that are looking for powerful music to work out to. It has premade playlists but allows you to create your own as well. This complete free MP3 music download app lets free mp3 music downloads for Android from websites. There are no download restrictions. It included a music player that can show lyrics and information on the artist. With an editor you can even change or add information. One of the key features for the player is the equalizer. Sleep Timer and social media sharing options are also on board. 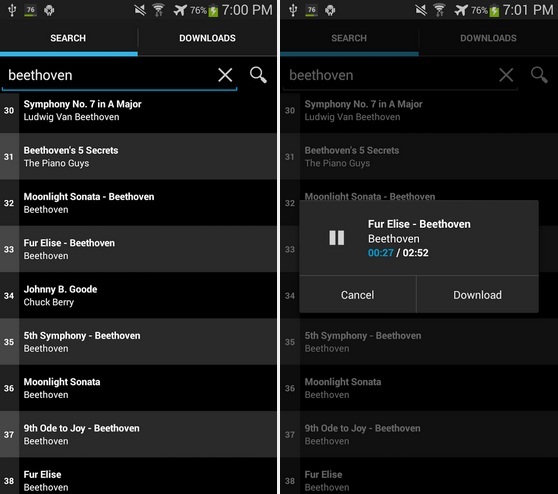 This free Android MP3 music download app lets you download and stream songs from the Internet. It offers high quality sound and video and lets you skip songs with no limits. You can create radio stations and share your favorites on Twitter. 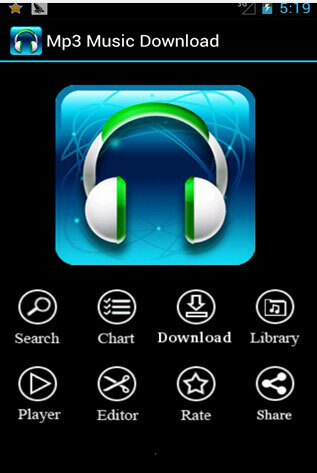 In this MP3 music app you are able to go with MP3 music download for Android that you find on the Internet. All you have to do, is tap them. It also includes a player. It has been taken of the Google Play store and is only available through other downloads. It used to be one of the most popular apps so it is available on a lot of websites as download. With this MP3 music download app you are able to search, play and download all the titles available at 4shared. To download a file, you have to press the title and hold it down until the Download option appears. It allows you to create and playlists. This service includes fifteen Gigabyte of space to upload your titles. While the main purpose of this free MP3 music download app for iPhone, iPod and iPad is to download YouTube videos it can also be used to download music. Any file you download can be converted to the MP3 format. 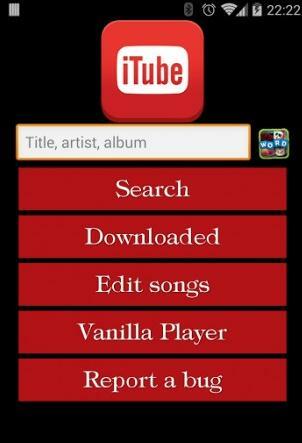 After installation of the app, browse YouTube and find a song that you wish to download. Hitting the download button will add it to the library. 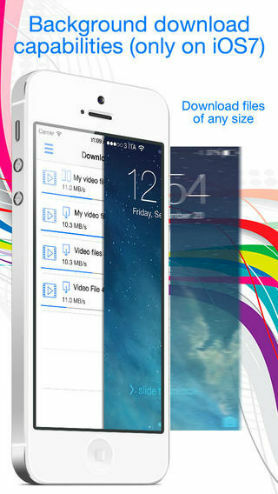 Once the file is on your phone you can export it to your computer with an USB cable or share it via Wi-Fi network. Similar to the Video Download & Play app, this free MP3 music download app allows you to download videos and convert them to audio files. It comes with its own browser that you have to use to search for music. Like a proper browser it comes with the ability to delete the history, cookies or browse privately. 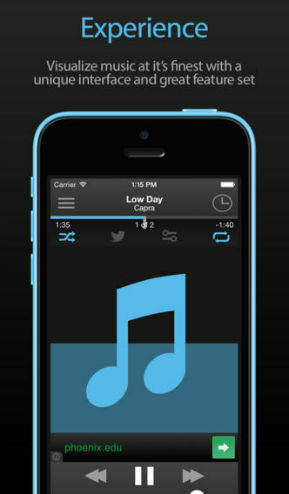 The app allows you to create playlists and to manage your files as well as upload them. This free MP3 music download app is mainly for fans of Rock music. With it you can not only listen to songs but also download them. 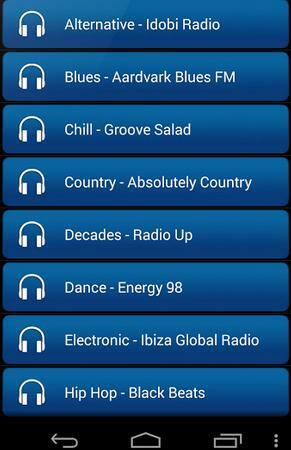 There are different variations of this app, like Xmas Top 100 Hits or Music top 100's hits. This free MP3 music app allows you to listen and download free music. The search can sorted by country, artist or music title. Top rankings for each country are also available. All available songs have a preview option. This MP3 music app is optimized for iOS 8 and comes with a radio plugin that lets you connect to over 10,000 stations. The tutorial it comes with shows you all the features of the app and how to best use them. It lets you create playlist and queue songs. This app is more a player than a downloading app so it comes with different sound settings. The crossfade function allows you to set the timing between the fade-out of one song and the fade-in of another. This is one of the most popular music download apps that was forced to disable the download function it previously had. If you want to download something now, you will be directed to iTunes. This free app by Google is a web based app that runs in a browser. It allows you to access music stored in your cloud. You can buy songs and they will be added to your cloud. This way they can be access by any of your devices. 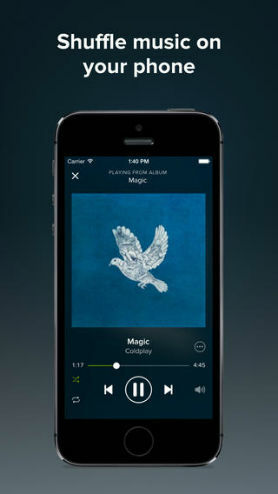 Other apps, including iTunes, will also be able to access music stored in the cloud. 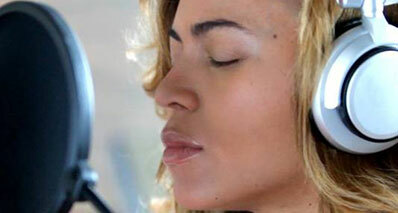 The premium service offers access to a database including millions of songs via radio. 30 days of free trial time are offered as well. This app lets you listen to the radio station FM classic. While the songs are played you can buy them directly from iTunes. You can look through the schedule of the whole week. This will only be appealing to classical music fans. 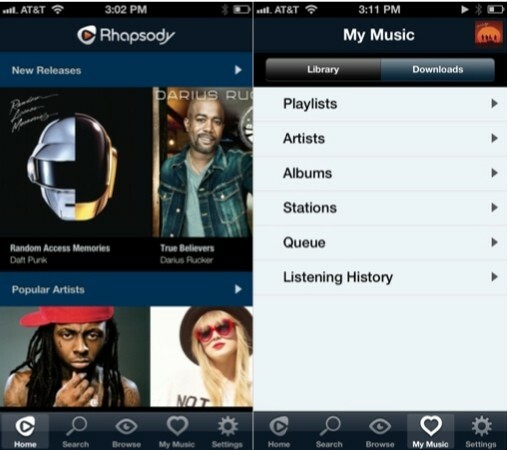 With this app you can access a vast database of songs, more than 20 million per genre. You can use it to stream or download music. It is almost certain that you will be able to find what you are looking for. 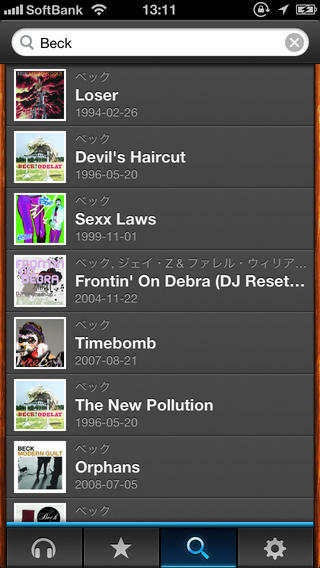 It lets you create playlist and can suggest songs, if you are not sure what to play. Pre-made playlist for specific genres are also available. The app comes with a 14 day free trial before it will ask you to pay a subscription fee on either a monthly or a yearly base. Spotify has a vast library of songs and albums available and is still growing. Even if you can't find what you are looking for today, you may be able to tomorrow. It offers a free and premium service. The free service allows you to stream any song you want to. However, you will be interrupted with advertisement every so often. Sometimes you can get 30 minutes without interruption due to a sponsored advertisement. 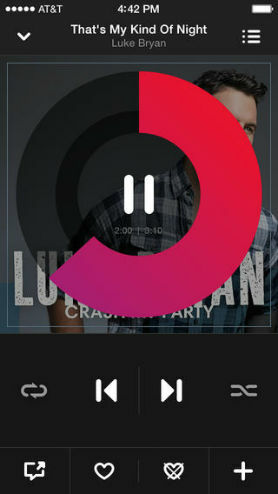 Using the premium service removes all ads and allows the download of any song you want. Premium can be tested for free for 30 days. 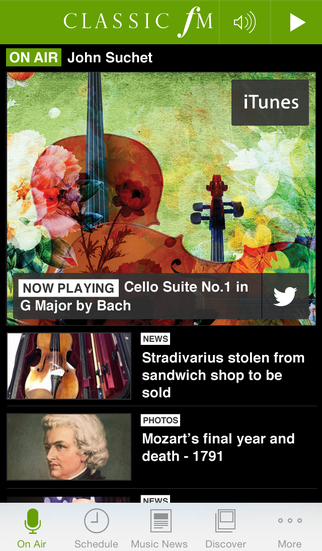 This app, also known as Freelegal, gives you access to over 7 million free songs. Every week you are able to download 5 songs. Once that limit is used up you have to use the streaming option instead.